Recently I have been doing a lot of research on Greek cuisine. Saved quite a lot of Greek food recipes already. Now, all of those will have to go through lots of trials and tests and I’ll bring in front of you all the best recipes. One such successful recipe was that of EKMEK KATAIF. One main thing that I noticed in Greek cuisine is that it resembles the middle eastern and Turkish cuisines a lot. The spread of Ottoman Empire influence through these countries they ruled explains a great deal of the similarities in Middle Eastern and Turkish Cuisines with the Greek cuisine. Filo deserts such as Baklava, desserts with honey, Grape leaves, Kafkas, or lamb meatballs, Eggplant dishes, Pilafs, Wedding soup, The use of rose water, Pistachios, Yogurt etc. Isn’t this a new information for you? It was for me definitely. God willing, more Greek recipes will be posted in the future. For now see the recipe of this yummy, tasty dessert Ekmek Kataife. 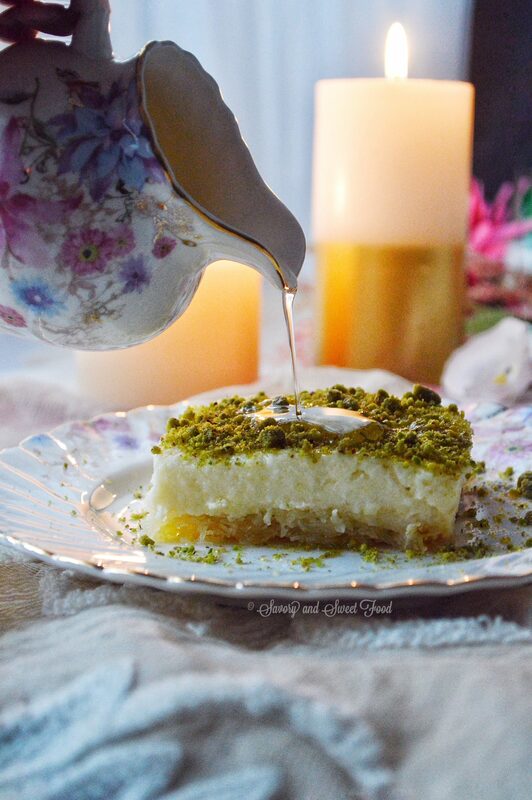 Ekmek Kataife is made with a layer of kataife dough (kataife is same as kanafeh/ kunafa ) which is baked till crispy, drenched in lemon and rosewater scented syrup, topped with a thick and creamy semolina custard and whipped cream and finally garnished with ground pistachios….bliss! That’s it! and you have the fantastic looking authentic Greek dessert on your table. ½ cup unsalted butter, melted. ✔️ In the original recipe, they add whipping cream on top of the custard layer. I didn’t add it, but if you like the airy whipped cream you should definitely include that layer too. ✔️ Adding shredded coconut is optional, i prefer without it. Tease the pastry and pull apart really well and pour in melted butter. Mix well. Place sugar and water in a saucepan and bring to the boil. Reduce head to low and simmer approximately 8 minutes until thick. Remove from the heat and add lemon. Into a saucepan pour milk and add mastic and let it come to a boil. Remove from heat. In a large bowl add eggs, semolina, cornflour, sugar and vanilla and whisk well. 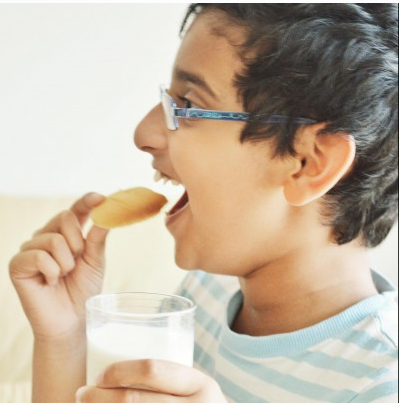 Temper the eggs by adding 3 ladles of hot milk into the eggs, whisking all the time. Pour the tempered egg mixture into the milk and return to the heat, stirring constantly until thickened. Add coconut and stir. Remove from the heat and place cling film on the surface of the custard and set aside to cool. Pour cooled custard over cooled pastry and spread evenly. Leave at room temperature until fully cool and then refrigerate for at least 4 hours. Place cream in an icing bag with a star tip and pipe rosettes to decorate or just spread it evenly over the custard. While serving pour extra syrup on top if desired. Reduce head to medium and boil approximately 8 minutes until thick. ✔️ In the original recipe, they add whipping cream on top of the custard layer. I didn't add it, but if you like the airy whipped cream you should definitely include that layer too. ✔️ You can omit the shredded coconut. I prefer without it. Oh goodness! Another one… this looks to me like a mix of kunafe without cheese and layali lubnan topped, an amalgamation of two amazing recipes… sounds wow! Thank you Rafeeda! Oh yeah I didn’t think about it that way. Exactly it’s like a mix of those two desserts. I made this last night and it was so simple and so delicious! I think that I used a bigger pan than you because I didnt have enough custard filling. It barely covered the phyllo. No problem, I just made another batch of custard to top it off and it was just fine. I used a 9×13 pan. I am thinking maybe a square 8×8 would have been better. Please, what size pan did you use? This recipe is definitely a keeper. So simple and everyone loved it! Thanks! Heyy Sarah! Sorry for replying late. Happy to know that you liked the dessert. But I’m sorry that you had trouble with the filling. I used a 11 x 7 x 2-inches rectangular baking pan. I will mention it in the post. Thanks for trying and the sending the feedback. Hope you will make this again. Mastika is a Mediterranean spice which is used a lot when making desserts, cakes etc. I don’t think it has an Urdu name. If you don’t have it you can omit it.